Burnt-out lawyer Ed Burke flees New York, a failed marriage, and a high pressure career as a criminal attorney and returns home to Dublin, Europe’s most happening city. Hand-in-hand with the new prosperity, a culture of ruthless corruption has taken root and threatens to pervade the highest levels of government in Celtic Tiger Ireland and the EU. Ed’s new job, defending a prominent developer in a tribunal investigating the rezoning of prime residential property, draws him into the world of Ireland’s elite movers and shakers who will stop at nothing to achieve their aims. 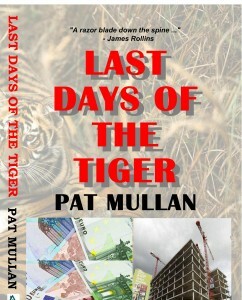 “Pat Mullan’s latest, LAST DAYS OF THE TIGER, is a razor blade down the spine. So fast-paced, expect whiplash. Grab a copy and clear your schedule!” James Rollins, New York Times best-selling author of BLACK ORDER. “Pat Mullan is a natural born storyteller with a gripping, engaging style. He may just be the next big thing in Irish crime fiction.” Jason Starr, author of LIGHTS OUT. “LAST DAYS OF THE TIGER bristles with ingenuity, and a plot to kill for … has all the Irish gifts: dizzy narrative, sly humor, and marvelous readability. It rocks! Ken Bruen, Shamus and Macavity winning author of THE GUARDS. 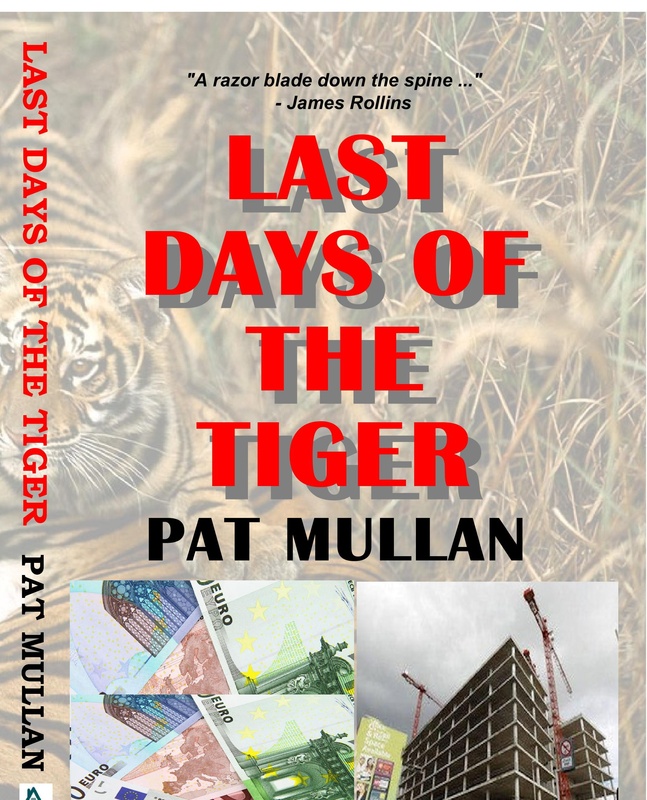 “LAST DAYS OF THE TIGER is a tight, intelligent thriller. Mullan writes suspense with an edge reminiscent of Bob Ludlum. An author to watch.” Cerri Ellis, Mostly Mystery Reviews. Pat Mullan is Ireland Chair of International Thriller Writers and he is a member of Mystery Writers of America. His thriller novels, poetry, and short stories are widely published in the US, Ireland, and the UK. He was one of fifty Irish writers chosen by Oxygen Books in the UK for inclusion in ‘City-Pick DUBLIN’, published to mark Dublin being chosen as UNESCO’S City of Culture for 2010. His short story, Galway Girl, was short-listed for the WOW Awards in 2010. It is one of the short stories that form part of his GALWAY NOIR anthology, available on-line from iPulp Fiction.